When it comes to strategic planning for product or company launches, some marketers focus their efforts on the activities leading up to the launch. While the lead up is critical for success, post-launch activities are equally important. 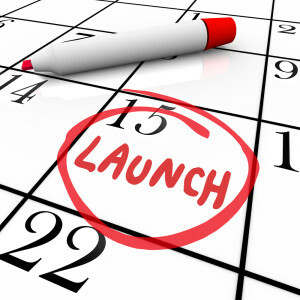 Oftentimes, marketers breathe a huge sigh of relief on launch day and return to their day-to-day activities. However, the launch-specific marketing and public relations activities shouldn’t end at launch. I recently heard a great analogy for this. When NASA launches a space shuttle into outer space, the scientists don’t just high five each other and walk away after it leaves the ground. They monitor the shuttle’s path, make notes of details to change or improve, ensure a proper landing and incorporate this information into future planning. The same applies for a product or company launch, but just as important as incorporating lessons learned, is the need to maintain momentum for the company or product following the launch. Not capitalizing on the increased exposure is a huge missed opportunity. My colleague, Michelle Baum, touched on this in her recent blog: 3 Key Ways to Foster Public Relations Success. She emphasized the need for ongoing management and execution in order to reach your target audience multiple times in meaningful ways to gain awareness that eventually leads to action. Thought Leadership Campaign: Tap your subject matter experts to author guest columns for key media outlets and to speak at relevant industry conferences and trade shows. Social Media: Initiate a social media campaign to reinforce your message. This can include hosting a Twitter chat, posting videos of customer use cases, or creating a Facebook giveaway/contest. Survey: Conduct a survey of your target market to determine the pain points impacting their industry, which your company/product address, and share the results via a white paper, press release, social media posts, a customer newsletter, podcast and/or video. White Paper: Write a white paper with statistics and proof points that address industry challenges impacting your customer base. Dissect the sub-topics into a series of blog posts and social media posts and link all posts to the white paper. Educational Series: Develop a series of how-to webinars, podcasts and/or videos involving industry influencers or customers, and educate your target audience on ways they can solve their pain points or improve their business processes. It’s important to maintain a consistent flow of content to keep your company and its products or services top of mind post-launch. This enables you to capitalize on the buzz and maintain the interest-level generated by the launch, which warms inbound marketing efforts and the lead generation pipeline. If you want to know more about how to keep the fire burning post-launch, let’s talk. You can reach us at http://www.moxiemettle.com/connect/. We’d be happy to brainstorm ways that Moxie + Mettle can help your business.